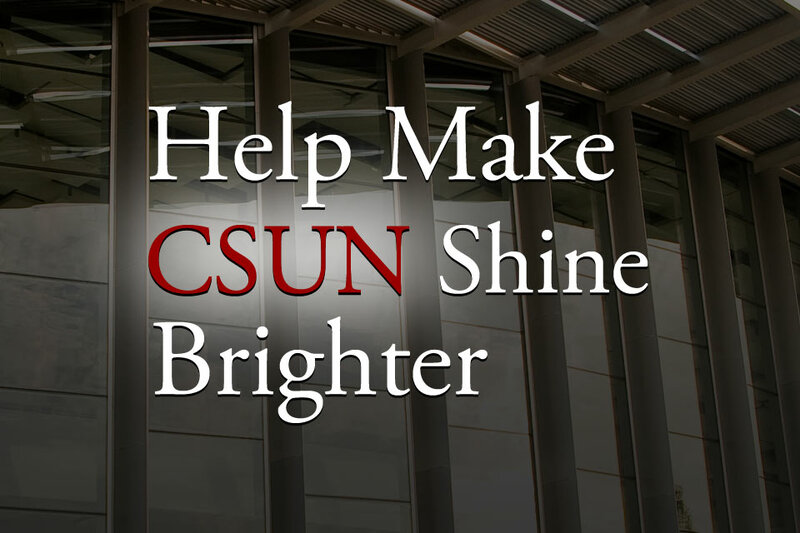 Earlier this month, President Dianne F. Harrison announced Help Make CSUN Shine Brighter, a new initiative that invites ongoing suggestions and solutions from students, faculty, and staff to help improve the university. Every few weeks or months, the president will spotlight a different topic area and seek input on making CSUN shine more brightly in that area. The president suggested the solutions be focused on quality, effectiveness, user-friendliness, cost efficiency and sustainability. “As a university, we will consider how to implement promising ideas and we will recognize innovative, solutions-based thinking,” said Harrison. The project name takes its cue from the university’s new positioning platform, “CSUN Shine,” which will officially roll out shortly. The first subject area for review is pedestrian and vehicular traffic flow on campus. The goal is to promote the development of a safer, pedestrian-oriented campus core, with access to convenient mass transit options, improved vehicular circulation, and easily accessible parking facilities. Additional topics for the Help Make CSUN Shine Brighter program will be announced in the near future.